On Wednesday evening, September 18, 2013, a group of 30 local Slow Food activists, Ecuadorian visitors, and other members of the OSU Binational Learning Community on food issues gathered for dinner at the Corvallis Multicultural Literacy Center. 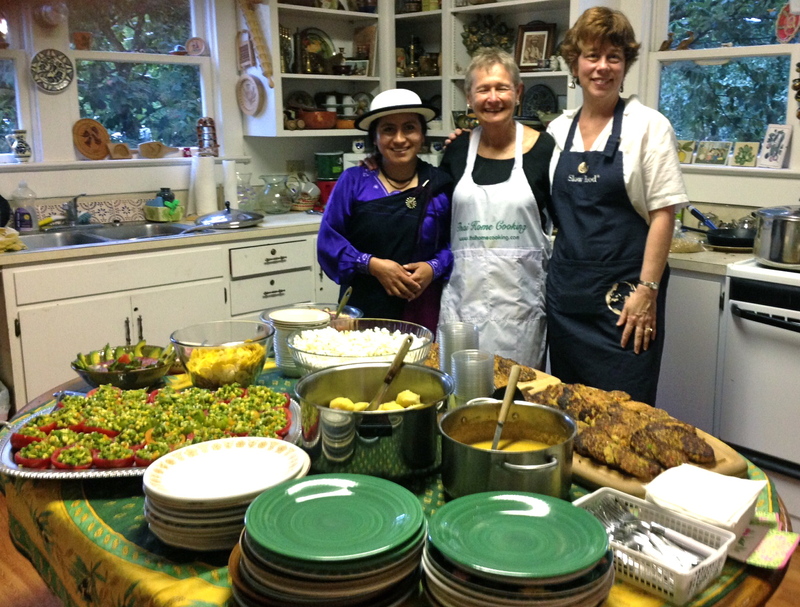 The dinner was organized by Slow Food Corvallis Board members, with Michelle Fried, a member of the Ecuadorian group, nutritionist and cookbook author, acting as head chef. Members of the visiting Ecuadorian team included: Dr. Myriam Paredes Chauca, Dr. Fernando Orteg, Claudia Sofía García Becerra, Catalina Clavijo Palacios, Ronald Herrera Sánchez, Jenny Quijozaca, Michelle Onisko Fried, Luz Guaman Yupa, Laura Boada Molina, and Byron Jimenez Ponce. On the menu were quinoa patties, fresh tomatoes stuffed with Ecuadorian-style vegetables, two ceviches—one with mussels and one with mushrooms—and the most delicious sauce ever made with pumpkin seeds, served over potatoes. 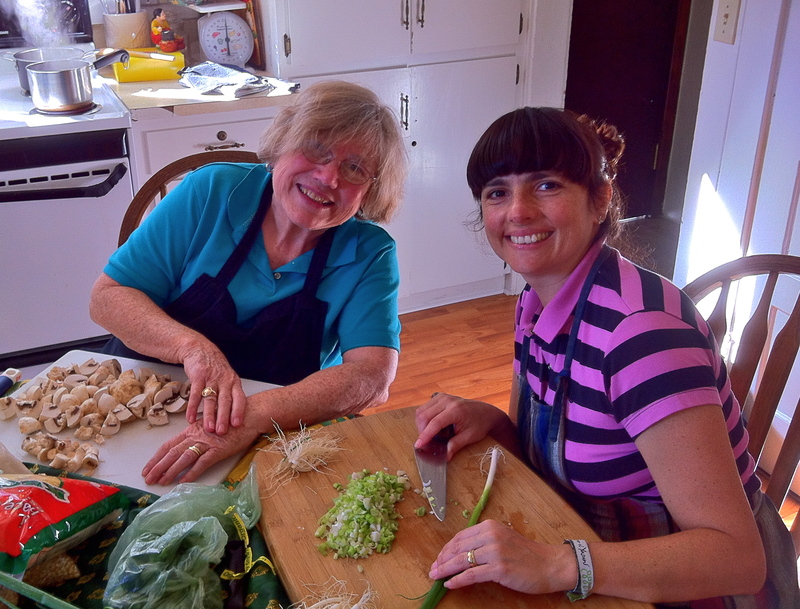 Slow Food Board members Marilyn Henderson, Ann Shriver, Rose Marie Nichols McGee, Laura Morrison and Joan Gross enjoyed learning how to make the Ecuadorian style recipes, working under the helpful guidance of the Ecuadorian team. The dinner was the culminating event of the Corvallis portion of a month-long Binational Learning Community on Food, Culture & Social Justice in Oregon and Ecuador, organized by Dr. Joan Gross of the Oregon State University Department of Anthropology. Some 21 participants travelled in Ecuador and Oregon to learn about food issues and developing solutions, and to build collegial relationships among the two regions. 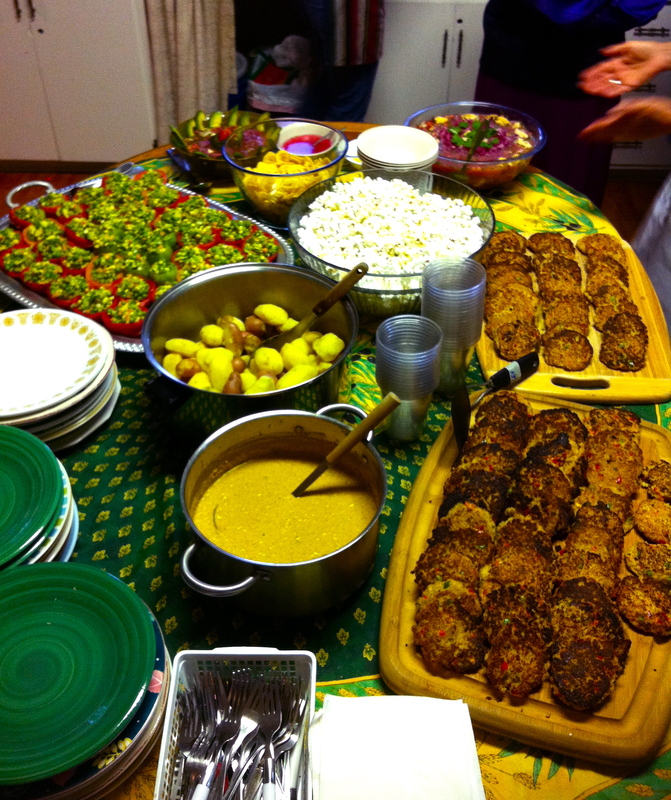 Slow Food Corvallis hosted the Ecuadorian participants and organized the celebratory dinner at the CMLC. Everyone enjoyed an internationally themed afternoon and evening of cooking, tasting, and sharing food and culture. For more photo views, visit Slow Food Corvallis on Facebook.